Our coaching team have a wealth of experience and qualifications between them; ensuring you get the best of the best. We believe that personality counts for a lot, so our hand-picked team are not just great at teaching fitness they’re great to be around too. I’m currently our only female coach, so I like to keep the boys in check! With a very LOW boredom threshold I find CrossFit not only fun but I never get bored. I love to see people progressing, nurturing is in my nature. I’ve been teaching Olympic weightlifting for several years. As well as being a British Weightlifting Club coach, I’m a personal trainer & functional therapist. I’ve a passion for duration cycling; completing the gruelling L’Etape Du Tour 3 times, along with the 205km Quebrantaheusos through the Spanish & French Pyrenees in a day! Sidney says:"Nicola doesn't give me nearly enough treats"
Members say "Nicola’s warm welcome on day one made me feel instantly at ease, making me feel like part of the family"
As well as CrossFit & being a personal trainer I play rugby for Nuneaton RFC, have dabbled in Brazilian Jiu-Jitsu. I love coaching people be it in a class, a personal training session or my strength & conditioning work with Lichfield ladies RFC. 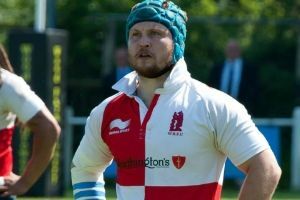 I supported the All Schools Programme by coaching local schools with the RFU. I’m definitely a fitness geek and love understanding the programing & planning side. In my spare time you’ll find me walking or wrestling my dog Sidney, who loves to chew my ears! Sidney says:"Nick is my master, where he goes I go!" Members say "Nick is incredibly helpful and generous with his time and knowledge – I always learn something new from him"
After travelling & living in Asia & Australia I returned wanting to change my lifestyle. Whilst I’d always been sporty, I was unhealthy too! 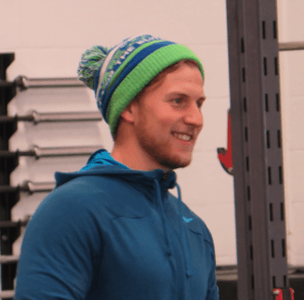 CrossFit Volentia suited me straightaway – the people, the exercise, the variety, the challenge. Now I am the proud person I have become and hope my experience can positively impact others. As well as a coach I’m a trained sports massage therapist, and have my own clothing line – Beyond the Box – for those that what to do and be more. The Goal? A life without limits! My passion and drive to help others never waivers, it’s what I enjoy and what I want to do for a very long time! Sidney says:"Matty won’t let me compete but everyone else can …it’s a dogs life!" Members say "Matty’s energy and enthusiasm is infectious – he is absolutely great to be around!" A self-confessed health & fitness geek for all things exercise, nutrition & mindset. I believe that health & fitness revolves around movement, strength, endurance, improved lifestyle choices, nutrition, enjoyment all underlined with a happy mind. My training includes heavy weights to bodyweight, Olympic weightlifting to gymnastics, kettlebells to yoga and everything else that promotes improved movement and varying intensities. Progressing my own health and lifestyle in this way has given me a deep understanding, and now I’m passionate about sharing this knowledge & experience to anyone willing to come along for the ride – be that in exercise, nutrition or improving your mindset. Sidney says:"Sam is the best person to chill out with"
Members say "Sam really cares about people, his approach to fitness and overall lifestyle has helped me on so many levels!" I found my passion in Olympic Weightlifting later in life, when I started CrossFit at CrossFit Volentia. Joining their Barbell club with the support of the coaches, I was inspired to compete in Olympic Weightlifting at the regional open level. 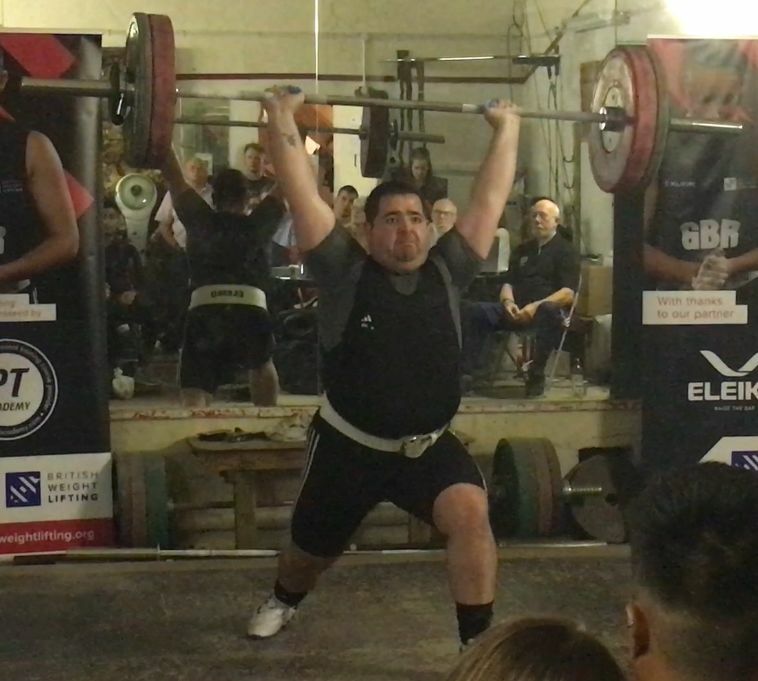 I was fascinated by the sport and started studying lifting and lifters in detail which lead me to get my British Weightlifting Level 1 & 2 Coach qualifications. I have been training under Coach Marius Hardiman from Oxford Power Sport, which exposed me to high level of coaching, where good technique and mobility leads to big lifts. Sidney says:"Dawid always makes the most noise dropping his bar with all those weights"
Members say "Dawid takes the time to get to know each member. He makes everyone feel welcome and offers huge amounts of support and advice. " After starting CrossFit in 2015 to supplement playing football, I decided to change sport and focus on CrossFit full time! I’ve coached CrossFit for a few years now in multiple different gyms across the Midlands and love helping people get better. I know how much CrossFit has improved me and my lifestyle, and I want to inspire others to do the same! A side from coaching I also compete in the sport! 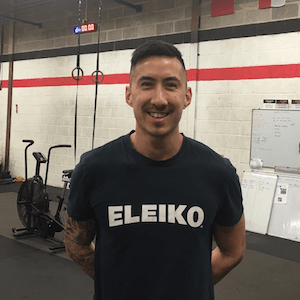 I competed in my first Sanctioned Event in February 2019 at CrossFit Strength in Depth and look forward to qualifying for more in the future! Sidney says:"Jonah is great fun, he’s got almost as much energy as me and is always keen to run around with me." 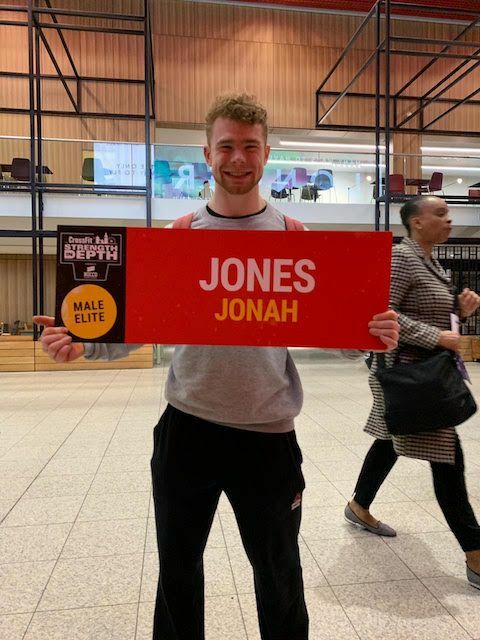 Members say "Jonah is a great coach who’s always got time for you as an individual and his attention to detail is second to none." 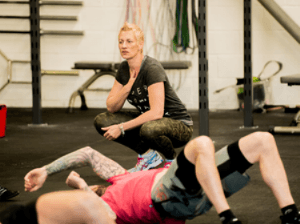 I’ve been in the fitness industry for 11 years as a Crossfit coach, a Personal Trainer and a Strength and Conditioning Coach, most notably for the Leicester Tigers Rugby Club where I spent 2 seasons with their DDP squad. I love to see the progressions of everyone I coach and take as much pride in their achievements as they do. I’m invested in them and want to see them succeed in their goals and will do what’s needed to see that happen.